Why Do I Need Travel Insurance In China? Cost of an air ambulance from China back to Australia. The average cost of a weekly hospital stay in China in ICU. Cost of repatriation on a plane from China to Australia. 1. Close to 30% of Aussies think the government would cover their medical bills overseas. But if you have a medical emergency in China, you're the one that needs to pay. 2. China’s airports are number one in the world for flight delays, resulting in travellers missing connections or dealing with cancelled flights. 3. In 2015 there were 23.1 million mishandled bags around the world. 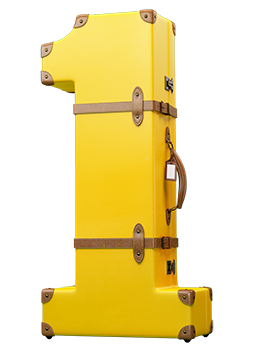 Luggage is the second most common claim made by 1Cover China policyholders. 4. .Due to the large crowds in the streets, pickpocketing is still a problem in China, particularly at busy tourist attractions. Travel insurance can't prevent things from happening. But if you have 1Cover, you'll have someone there when one thing goes wrong. 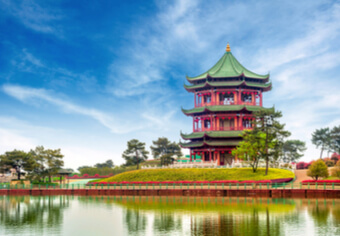 Keep reading to find out everything you need to know about travel insurance for China. What Are My Travel Insurance Options For China? If you're travelling on a budget, and looking for cheap travel insurance to China, then 1Cover’s Medical Only policy offers a cheaper alternative to comprehensive travel insurance. It's our most basic policy and will only provide cover for any medical expenses and emergency assistance costs. Do you travel more than once a year to China? Then it might make sense to buy a multi trip annual policy. This works just like our comprehensive cover (detailed above), except you can take as many trips as you want in a year and you’ll still be covered. What Happens If I Get Sick Or Injured Overseas? 1Cover offer emergency medical assistance anywhere in the world, 24 hours a day, 365 days per year. In an emergency situation, you can call our medical assistance team who will help with any medical problems which may arise. If you are injured or become unwell overseas, you must notify 1Cover as soon as possible. Yes, of course. If you want to extend your policy while you’re in China, the easiest way to do this is via the Policy Manager. If you have trouble, you can email us at [email protected] or call us on 1300 192 021. Please note there may be instances where a policy extension is not available. Will You Pay My Hospital Bills If I get sick or injured in China? In circumstances where the claim is approved, we can then provide written guarantees of payment of reasonable expenses for emergency hospitalisation that may be required while you are in China. What Do I Do If I get robbed in China? I’ve reached China and the airline Has Lost My Luggage. Will 1Cover Replace The Items? Am I Covered For Natural Disasters? Travel insurance provides cover for weather events as long as they are unforeseen. If you do get caught up in an unforeseen event while you are in China and you are injured or your trip is interrupted, 1Cover can assist. Our policies do not cover claims for losses caused by an event that you were aware of at the time of purchasing your policy. Once an event has become published in the mass media, it is expected that you have purchased your insurance with this knowledge in mind. 1Cover will, where possible, issue travel warnings in relation to such large scale events and the dates and times after which they are not seen as an unforeseen event. I travel to China a few times a year. What’s the best policy for me? Do you cover seniors travelling to China? Am I Covered If I'm Pregnant When I'm Travelling To China? If you're travelling to China while pregnant, you are covered for single foetus pregnancies, up to, and inclusive of, the 24th week of gestation. For multiple pregnancies, you'll be covered up to and inclusive of the 19th week of gestation. If you have had complications from your pregnancy, you’ll need to complete a medical screening. In the lead up to his ten-day China adventure, Alok slipped on some stairs and badly injured his back and knee. 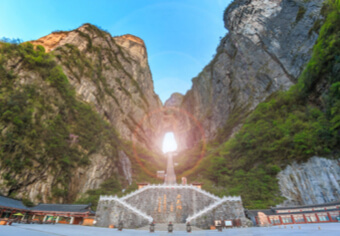 He was unable to move without pain, and the doctor advised him not to travel due to the amount of walking required on his pre-booked tour in China. Alok was refunded the full tour amount of his pre-paid China tour package. Professional, helpful, fair ... you don't have to wait months. While travelling on a crowded metro train in Shanghai Downtown, Sasha's iPhone and credit card was stolen straight out of his pocket. He immediately filed a police report, cancelled his card, and contacted 1Cover. 1Cover covered the cost of Sasha's stolen phone and case (minus depreciation). never Been pickpocketed in my life, but at least i got something back. Yanis was at a public hot spring in China, and hired a secure locker to keep his belongings safe while he enjoyed the springs. When he returned, the locker had been broken into and his backpack and the gear inside it had been stolen. Yanis got back the cost of his GoPro, Microsoft Surface, and his backpack. No stress, no hassle ... it was all pretty easy. 1Cover paid a claim for $100,000 to a traveller who ended up in hospital in China. How Will Travel Insurance Help Me In China? Being sick or injured in China can be overwhelming. But if you need medical assistance while you’re over there, we’ll look after things like hospital stays and emergency surgery. Sometimes things just don’t go to plan. If you have to unexpectedly postpone or cancel any part of your trip to China, we’ll cover any cancellation fees and lost deposits. Don’t let a lost phone or lost luggage ruin your trip to China. We cover up to $15K for lost or damaged bags and belongings (including cameras, glasses and laptops). China has more than 700 ski resorts, including popular Sun Mountain. So, if you plan on exploring China’s growing ski culture, you’ll want to make sure you’ve got our Winter Sports Pack add-on. Typhoons, earthquakes, and flooding have all had an impact on China in recent years. If a natural disaster effects your holiday, we can cover you – but make sure you check the news and our travel alerts before booking your trip. While many Chinese doctors will speak basic English, only some will speak it fluently. Our assistance team can provide translators in an emergency so you get the best possible care. Whether it’s to explore Shanghai streets or ride up and down country mountains, a rental bike is a great way to see China. Wear your helmet and follow the rules and you’ll generally be covered. If you’ve got a Chinese permit and intend on hiring a car while in China, you’ll need 1Cover. If you’re involved in an accident or something goes wrong, we’ll look after rental vehicle excess up to $5K. Award-winning travel writer Ben Groundwater reveals the one thing you should really do in China … and the one thing you shouldn’t! Despite being one of the most popular attractions in China, this Chinese tourist attraction was deemed not that interesting. 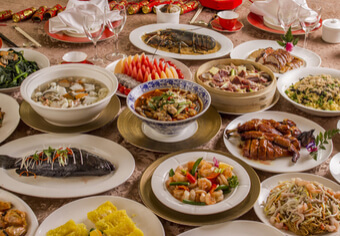 Chinese cuisine is delicious but one must be mindful about where you dine. Here’s why. We hope nothing goes wrong on your trip to China. But if it does, the resources in this section can help you. The Australian Embassy is located in Beijing. There’s also a Consulate-General in Guangzhou. These offices can help you out with a range of services, including consular, passport, visa and immigration, citizenship and cultural relations services. Be informed. Be prepared. 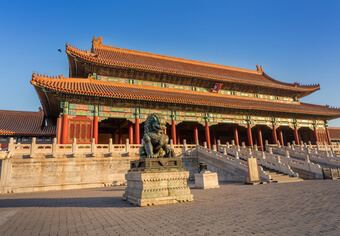 If you're across The Australian Government's SmartTraveller website, you'll have all the latest information for your trip to China. 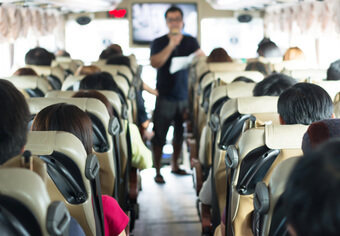 SmartTraveller is a trusted resource for Australian travellers and is updated regularly, so make sure you bookmark this handy resource. If you need emergency assistance in China, please call our 24/7 emergency medical assistance line on (+) 61 2 8776 3010 or email [email protected]. Planning an Activity In China? No one knows a country better than a local and you can have one on your very own private guided tour. Tours By Locals will connect you with an expert local guide for a truly authentic China experience. Tianmen Mountain is not one for the faint hearted. Whether your teetering along the Walk of Faith glass walkway, set 4,700 feet above the ground, or riding the world’s longest cable car up the mountain, the scenery is breathtaking. 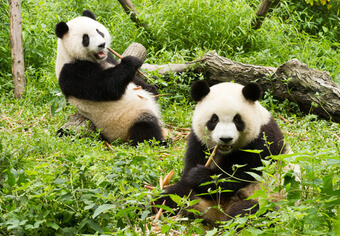 Chengdu is the home of the giant panda, and there are four panda reserves you can visit. Three of the reserves offer the opportunity to hold a panda or volunteer to work with them. Find out more abouve Chengdu panda reserves.